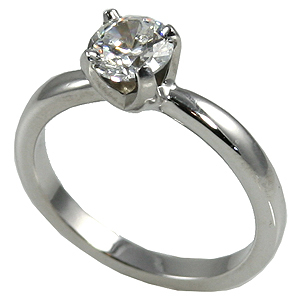 Stock #PLS105:Heavy Bombe Shank Solstice Russian Cubic Zirconia in Platinum 4-prong Solitaire Ring. Unbelievable Price!! russian CZs are more precisely cut & polished of the best CZ quality available... Very Nice Stone! Also in 14k White and 14k Yellow Gold.